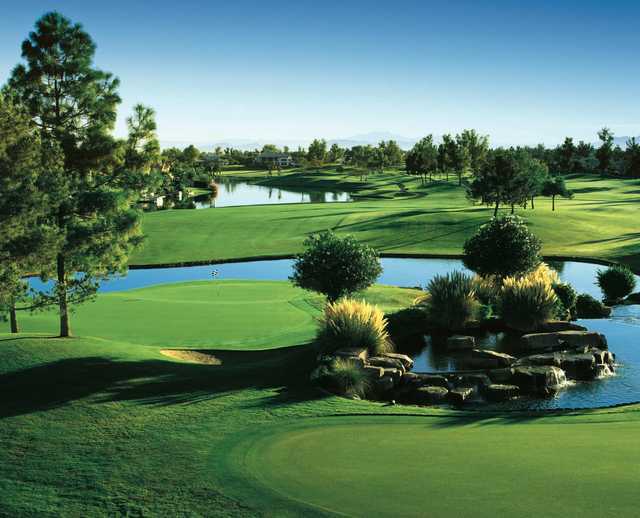 The Gold/Blue course is the most challenging of the three 18-hole combinations at Ocotillo Golf Resort. The Gold nine is the longest of the three nines at the resort at the blue is the most demanding, creating an 18-hole golf course that is definitely Ocotillo's most demanding. 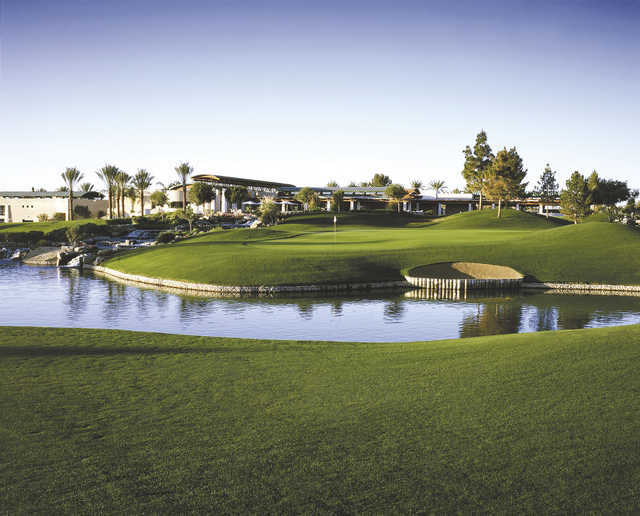 The Gold/Blue course is the most challenging of the three 18-hole combinations at Ocotillo Golf Resort. 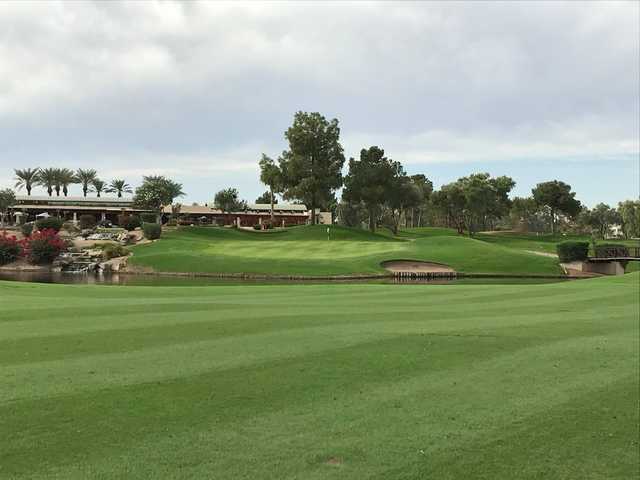 The Gold nine is the longest of the three nines at the resort at the blue is the most demanding, creating an 18-hole golf course that is definitely Ocotillo's most demanding. Tricky pot bunkers are strategically situated throughout the golf course. Of the 27 holes at the resort, there are only five without water and there is no desert landscaping at all. Instead, there are cascading waterfalls, colorful flowers, and swaying palms. 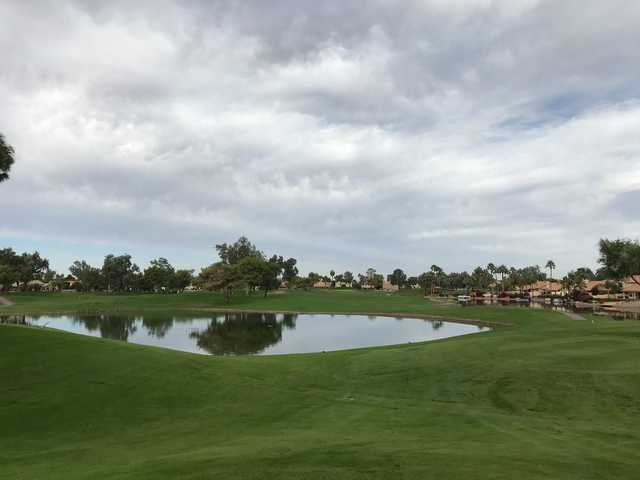 It is more reminiscent of a course in south Florida than any other course in Chandler. There are surrounding homes, but they serve to complement the scenery rather than intrude on the game.